Originally from Vancouver, Canada, after teaching yoga in Magnolia for several years, I decided to open The Yoga Studio in Magnolia in 2001 in order to provide a peaceful sanctuary for Magnolia and nearby communities – a place to delve deeply into the classical practices of yoga, to cultivate it’s many benefits and also a place for all to feel welcome. I’m grateful to have been introduced to yoga as a child and to have had it be a thread that ran throughout my life – offering a means to navigate through life’s ups and downs in a more peaceful and harmonious way. My husband, Brooke, contributes his extensive knowledge, physical and athletic background, and decades of experience of yoga to our studio. He loves to share his in depth knowledge with his students and encourages and inspires them to develop their own dedicated practice. Brooke met his guru Baba Hari Dass in the 1970s and began to practice under his guidance. Soon after meeting Brooke and falling in love, he introduced me to Baba Hari Dass. It was one of those moments where I knew my life would never be the same, and I am grateful for the guidance Baba Hari Dass has given me since that auspicious beginning. We have lived in Magnolia for over 20 years and adore the close connection to the ocean, Discovery Park and all the beauty the Pacific Northwest has to offer. When not on our yoga mats, we love to be active hiking, biking, swimming, pursuing photography and playing with our two cats, Soma and Chandra. Brooke loves to shop the local farmer’s markets and prepares most of our delicious and nutritious meals. Over the years since we opened our studio, we were fortunate to have Yuko first as a student who apprenticed with us, and now as a phenomenal teacher – everybody loves Yuko. We are also joined by Cindy, Ginger and Catherine who offer their incredible gifts and experience of yoga. 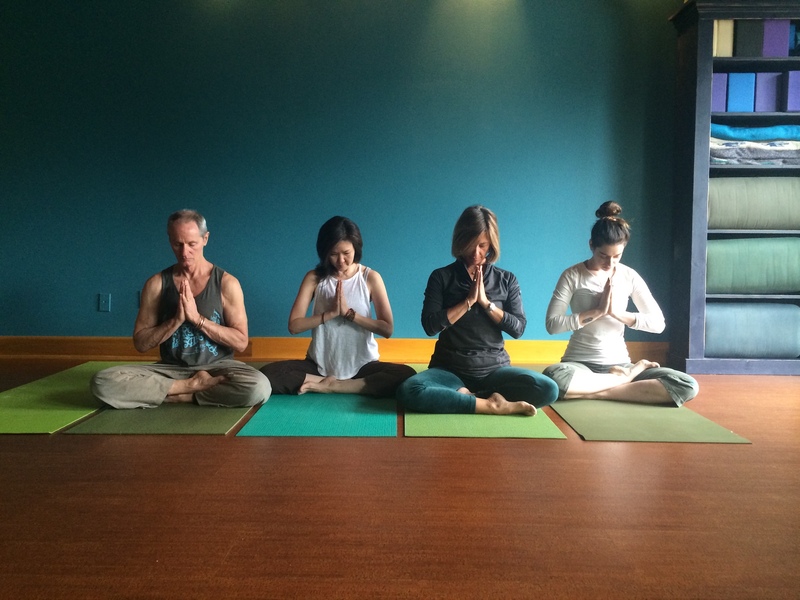 “A sanctuary in Seattle, The Yoga Studio in Magnolia is a genuine place to share your practice of asana and pranayama. A warm and wonderful studio for all levels and experience. I have been practicing yoga here for almost three years and I highly suggest stopping by and trying the new student special. Cindy, Yuko, Brooke and Lee are AMAZING. Special workshops and retreats are an added bonus!” Michele Y. Who is Baba Hari Dass? Baba Hari Dass is a master yogi who came to the United States from India in 1971. Baba Hari Dass, (affectionally called Babaji), with his unconditional love, support and wisdom, began teaching classical yoga to a growing number of students in the west ever since that time. Through Babaji’s leadership and inspiration several retreat and teaching centers have been established in the US, Canada and India. Babaji is also the author of several books, a master teacher and a living example of the true ideals of yoga. Our mission at the studio is to share Babaji’s teaching with our students.